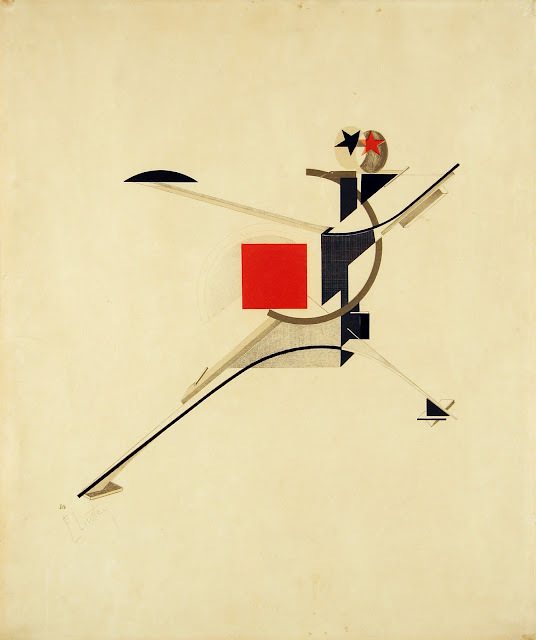 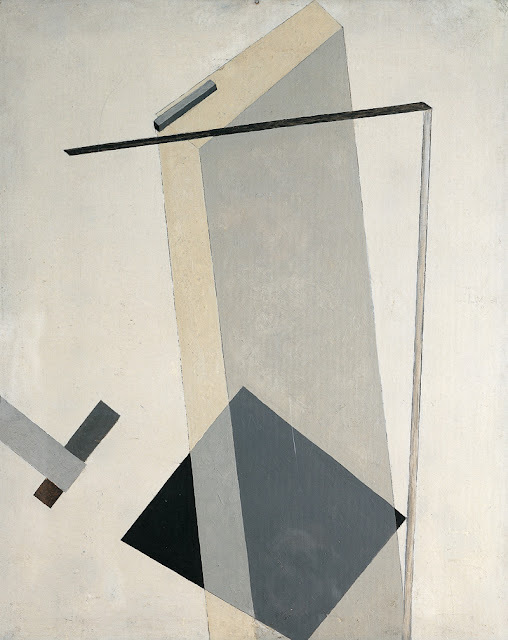 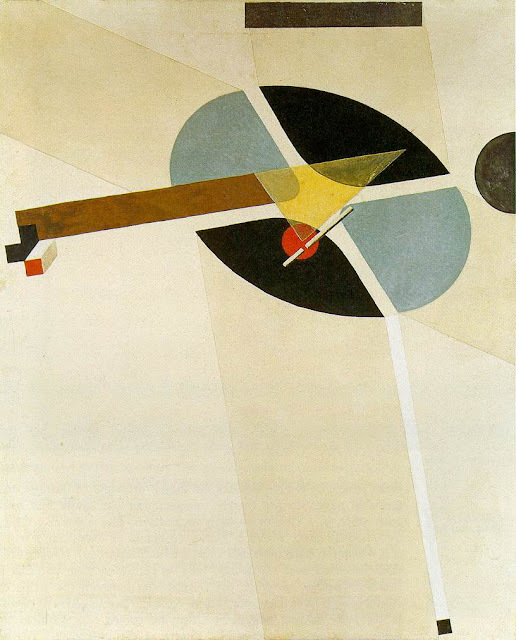 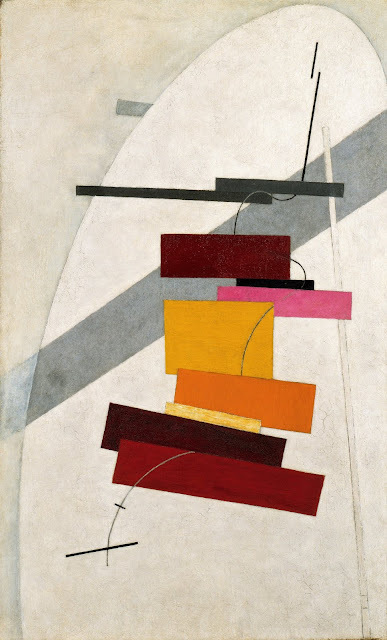 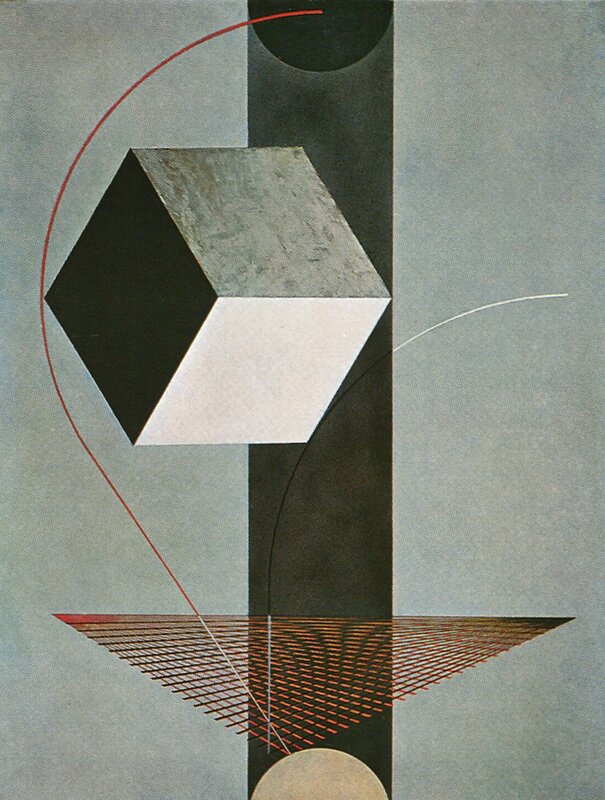 El Lissitzky (1890 – 1941) was born Lazar Markovich Lisitskii in 1890 in Pochinok, in the Russian province of Smolensk, and grew up in Vitebsk. He pursued architectural studies at the Technische Hochschule in Darmstadt, Germany, from 1909 to 1914, when the outbreak of World War 1 precipitated his return to Russia. 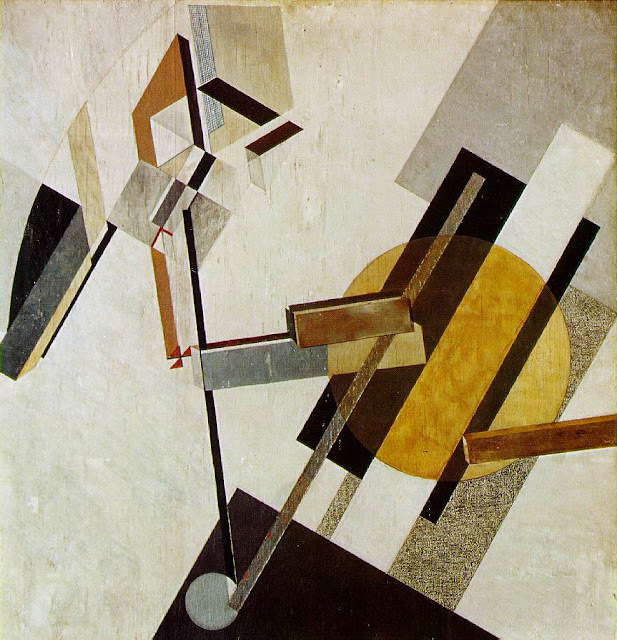 In 1916, he received a diploma in engineering and architecture from the Riga Technological University. 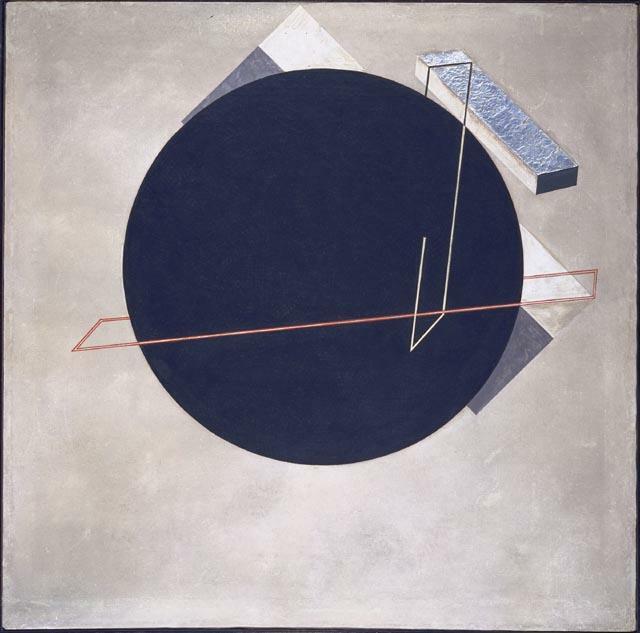 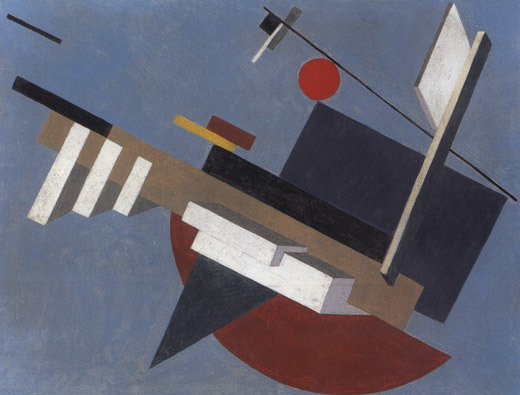 Lissitzky and Kazimir Malevich were invited by Marc Chagall to join the faculty of the Vitebsk Popular Art School in 1919; there Lissitzky taught architecture and graphics. That same year, he executed his first Proun (an acronym in Russian for “project for the affirmation of the new”) and formed part of the Unovis group. 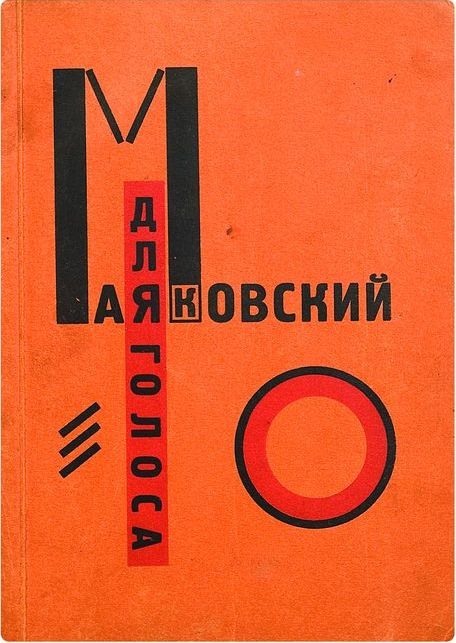 In 1920, he became a member of Inkhuk (Institute for Artistic Culture) in Moscow and designed his book Pro dva kvadrata. 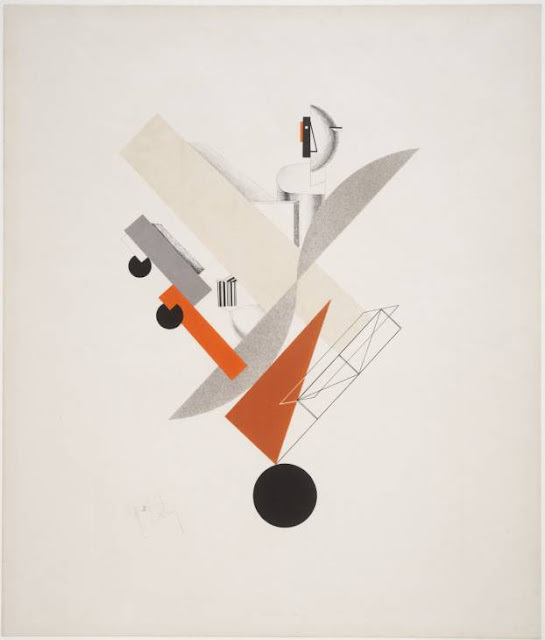 The following year, he taught at Vkhutemas with Vladimir Tatlin and joined the Constructivist group. 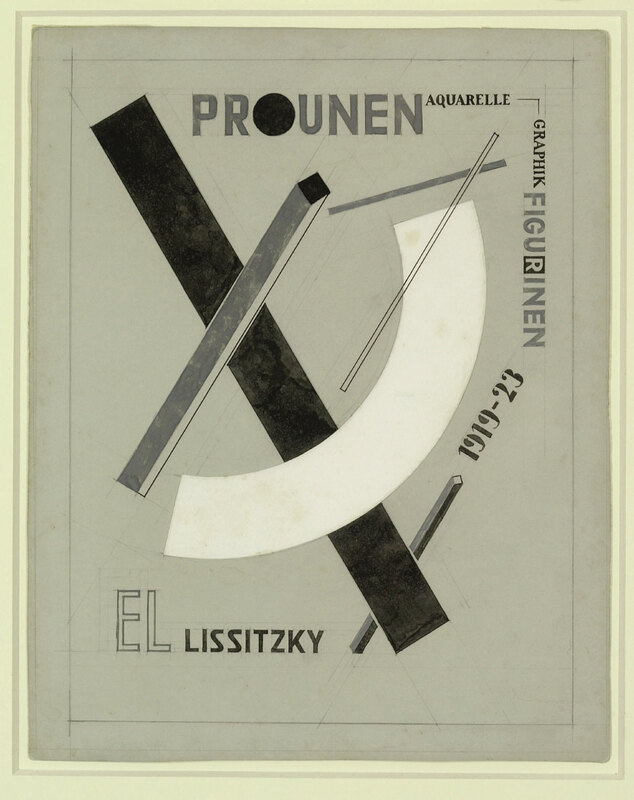 The Constructivists exhibited at the Erste russische Kunstausstellung designed by Lissitzky at the Galerie van Diemen in Berlin in 1922. 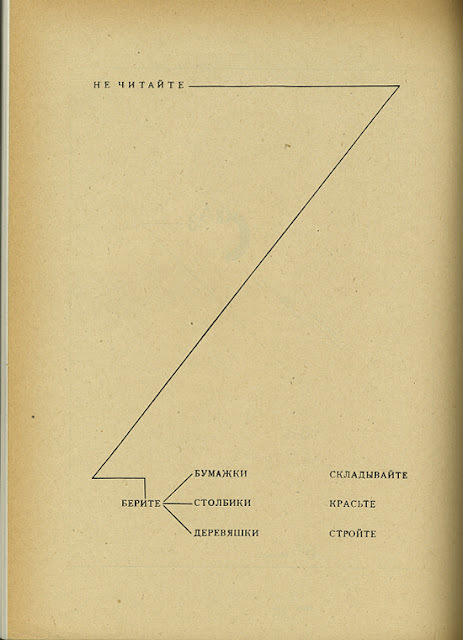 During this period he collaborated with Ilya Ehrenburg on the journal Veshch/Gegenstand/Objet. 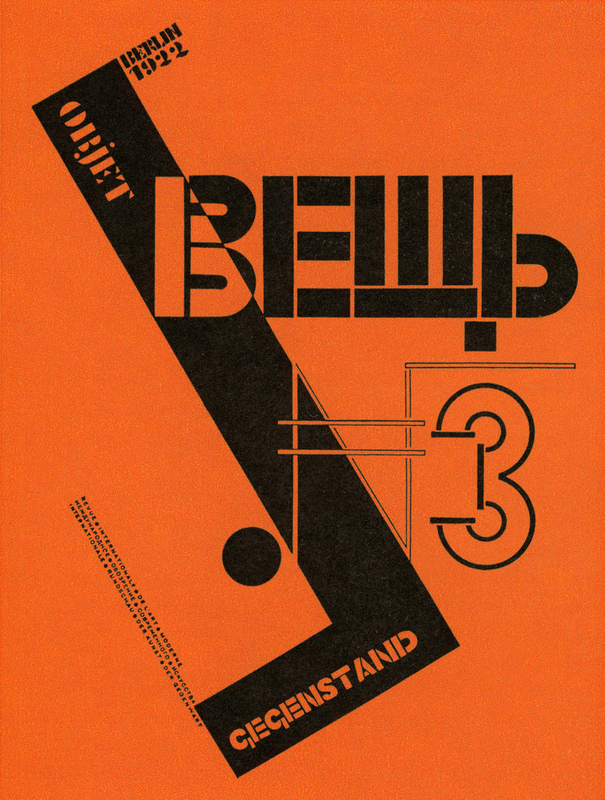 In 1923, the artist experimented with new typographic design for a book by Vladimir Mayakovski, Dlya golosa, and visited Hannover, where his work was shown under the auspices of the Kestner-Gesellschaft. 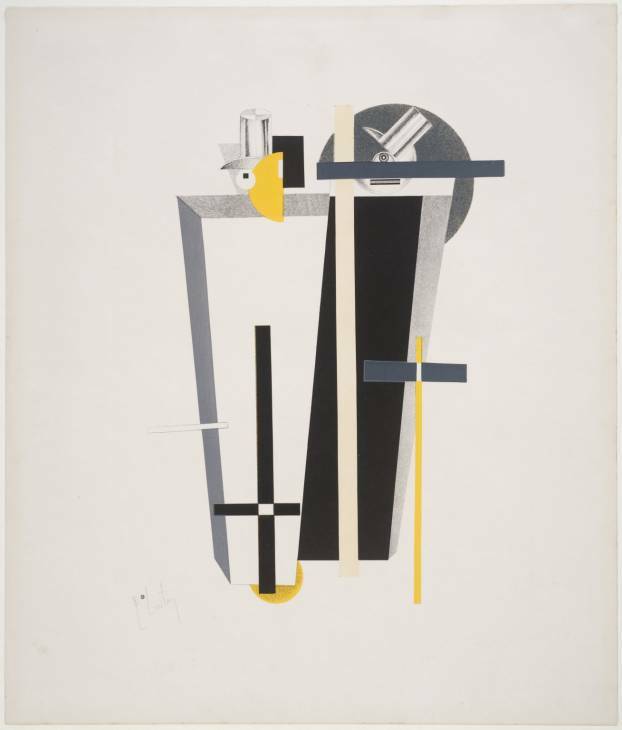 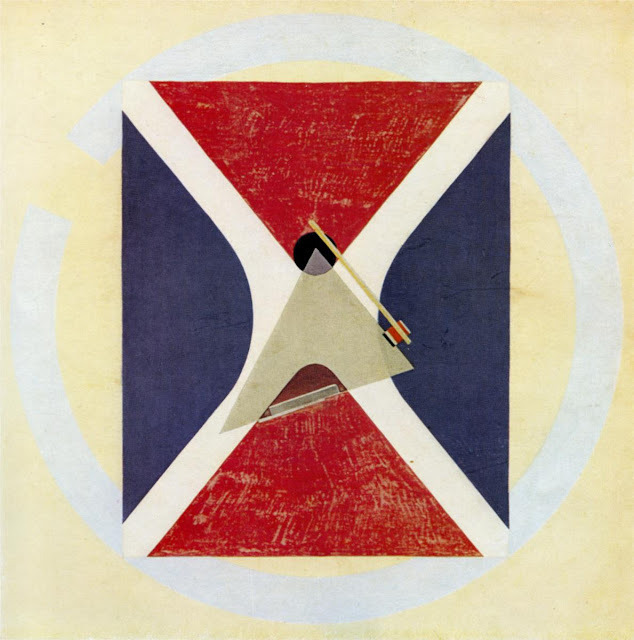 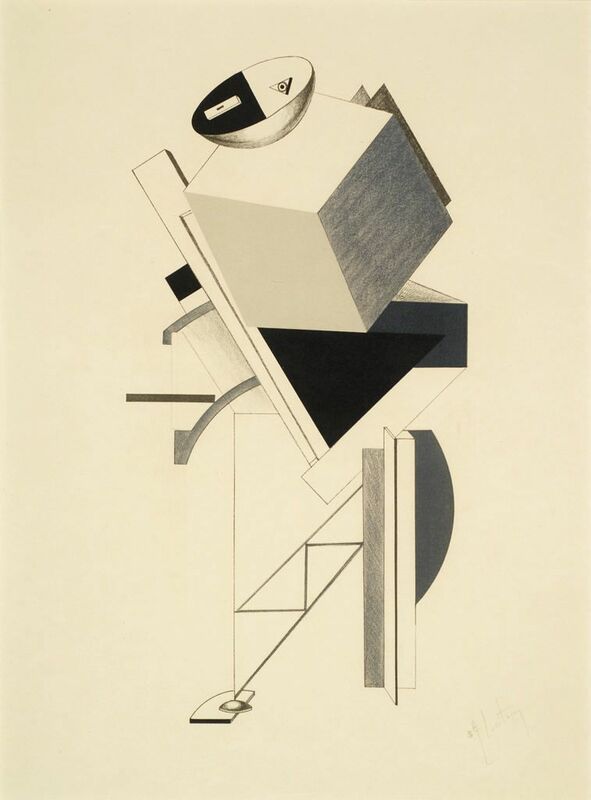 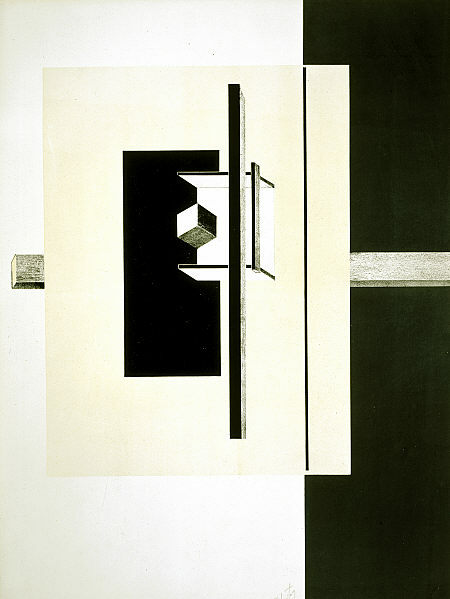 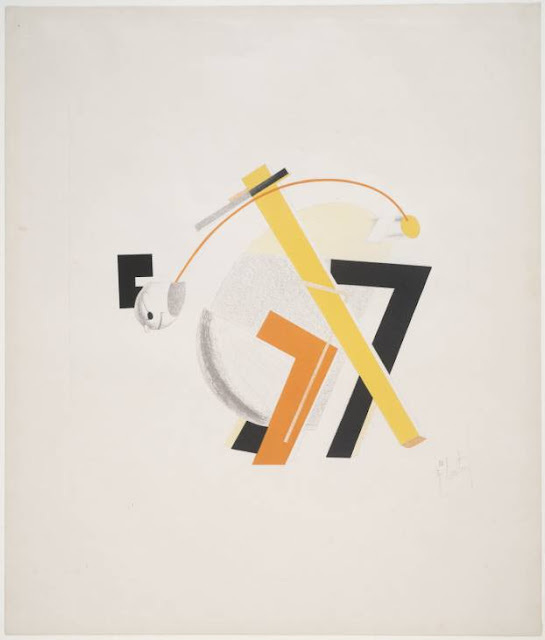 Also in 1923, Lissitzky created his Proun environment for the Grosse Berliner Kunstausstellung and executed his lithographic suites Proun and Victory over the Sun (illustrating the opera by Alexei Kruchenykh and Mikhail Matiushin), before traveling to Switzerland for medical treatment. 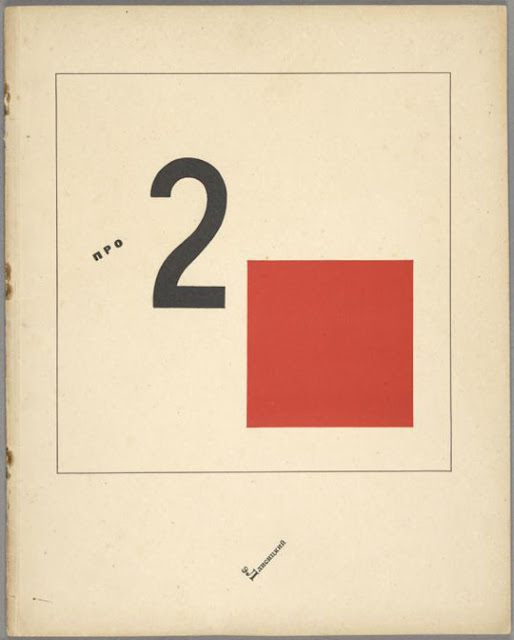 In 1924, he worked with Kurt Schwitters on the issue of the periodical Merz called “Nasci,” and with Arp on the book Die Kunstismen. 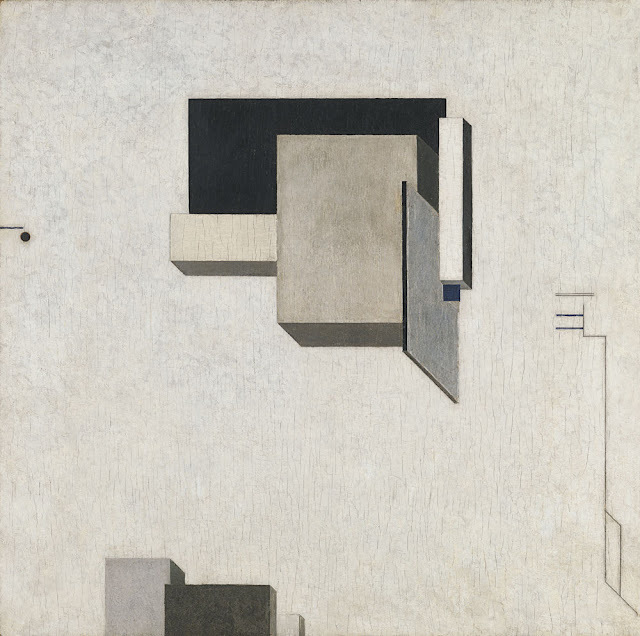 The next year, he returned to Moscow to teach at Vkhutemas-Vkhutein, which he continued to do until 1930. 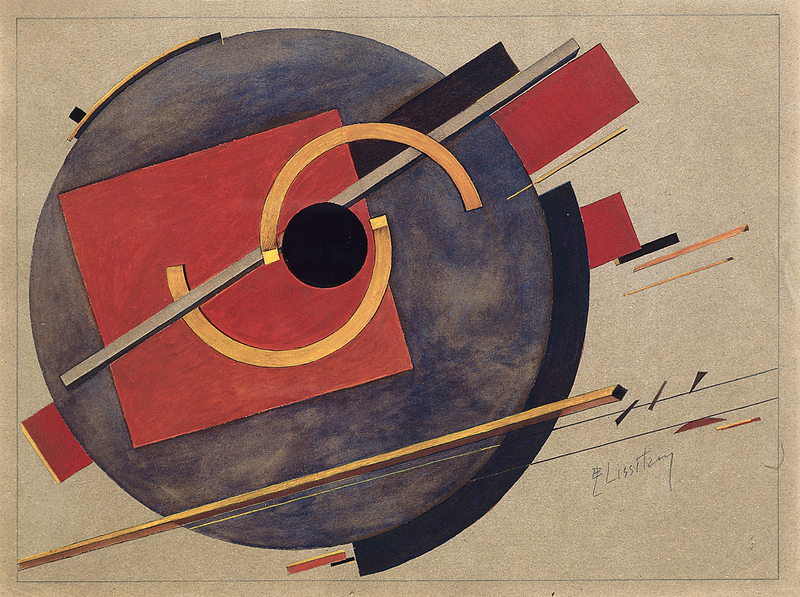 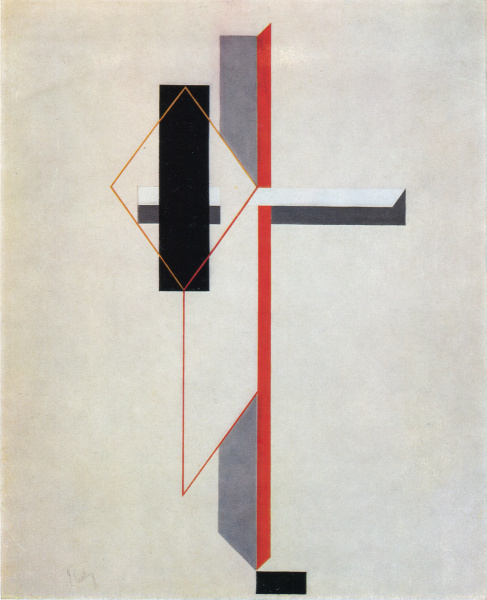 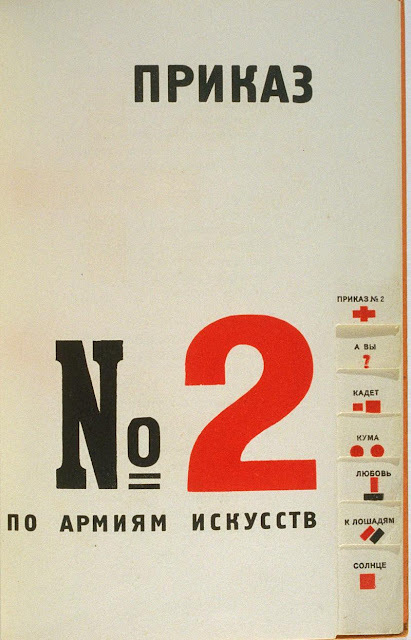 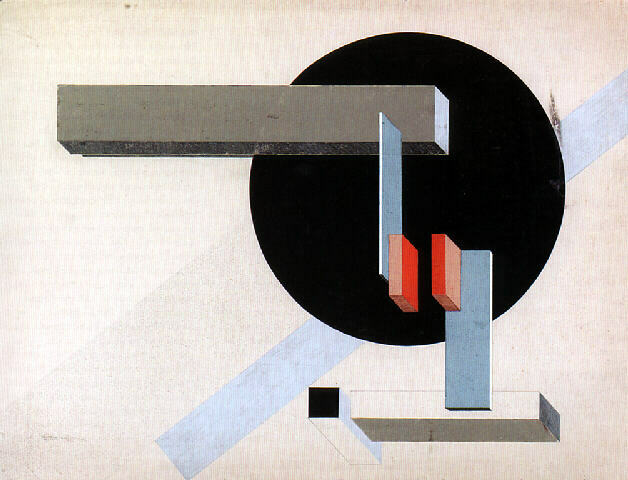 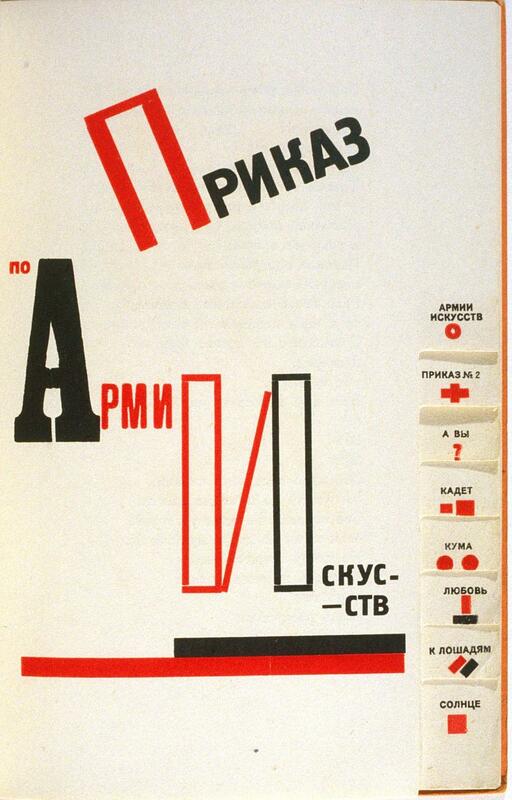 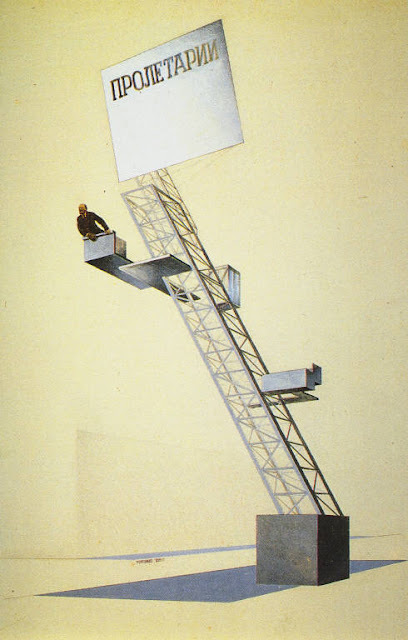 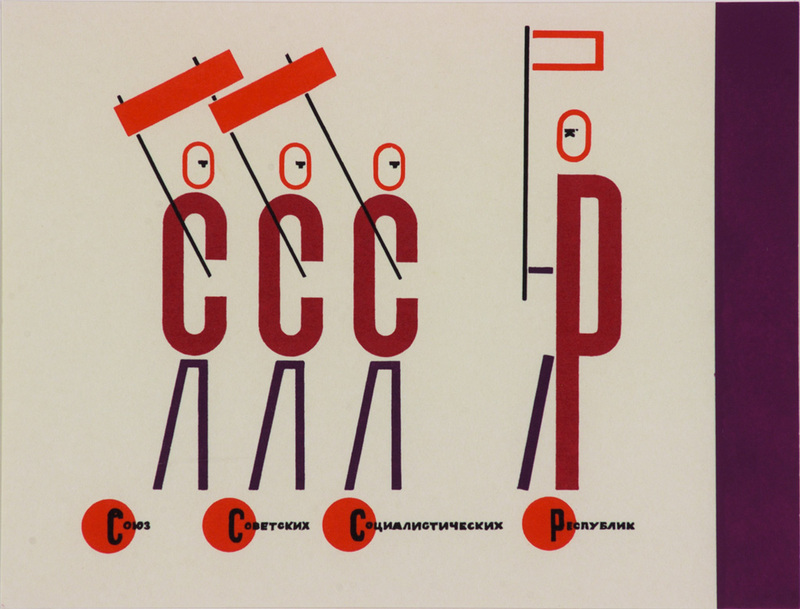 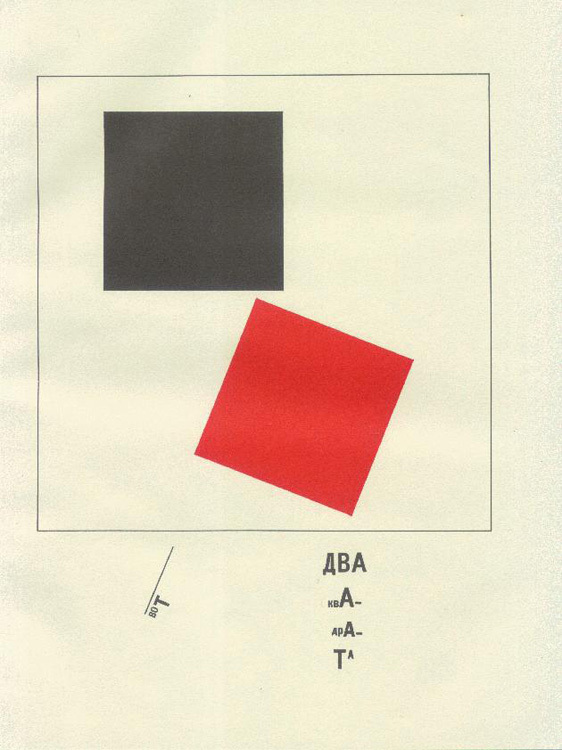 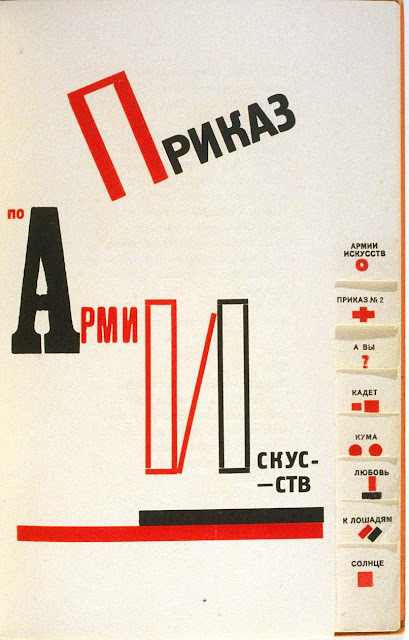 During the mid-1920s, Lissitzky stopped painting in order to concentrate on the design of typography and exhibitions. 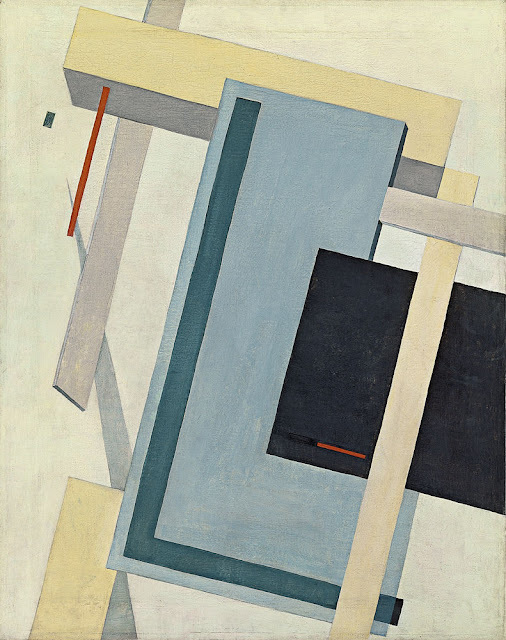 He created a room for the Internationale Kunstausstellung in Dresden in 1926 and another at the Niedersächsisches Landesmuseum Hannover in 1927. 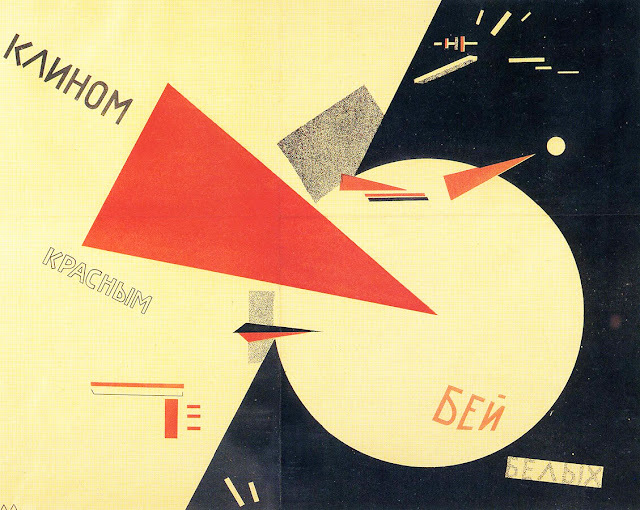 He died in 1941 in Moscow.